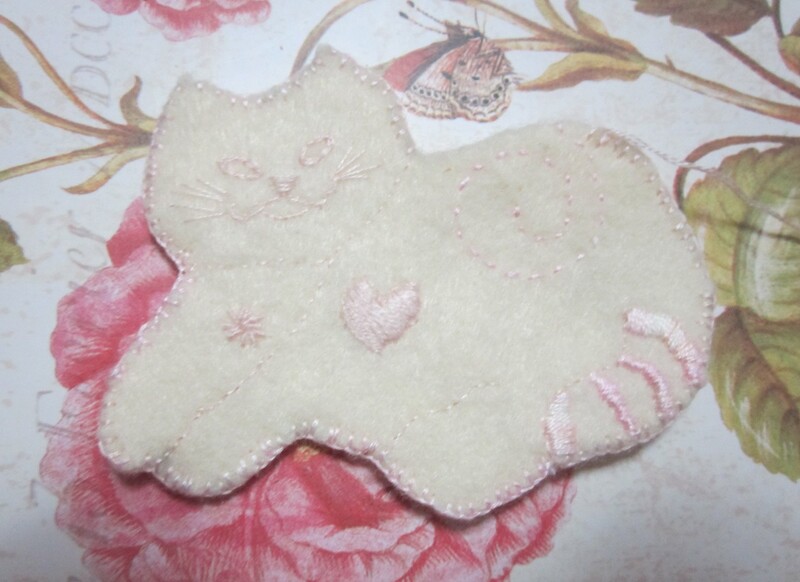 Didn't get much done today but I did make a kitty and dressmaker dummy ornaments. The die cut also cut a felt button. 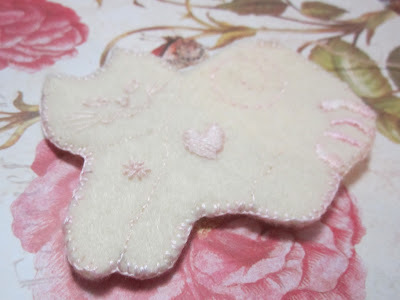 It is hard to see the pale pink thread on the off white felt. Another view of the kitty ornament. 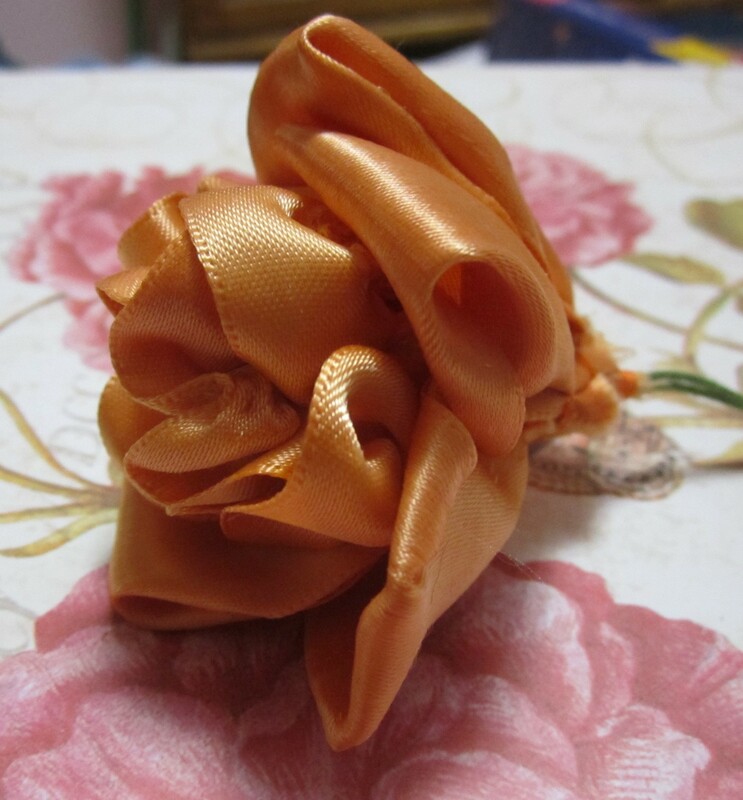 The tangerine dyed ribbons came out a pretty pumpkin color. It is just what I was hoping the color would be. 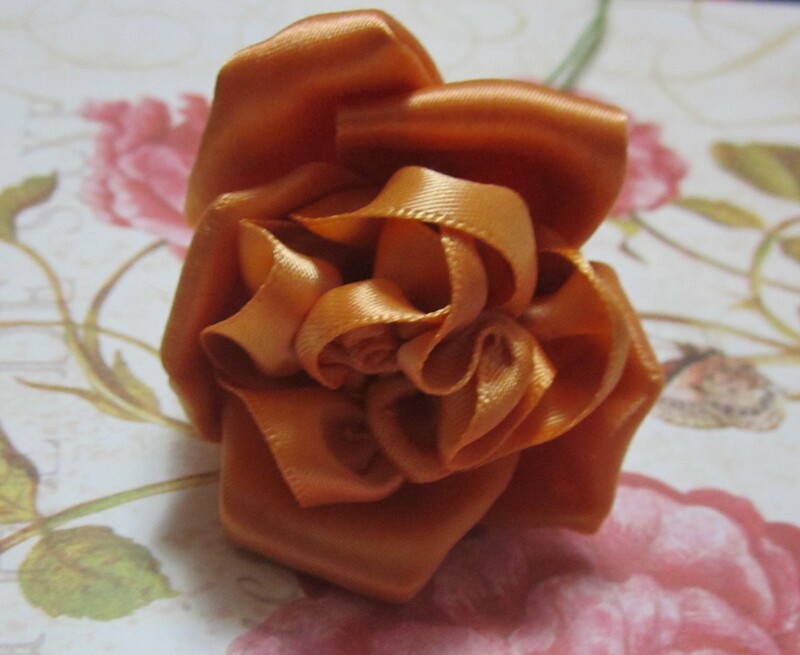 Now I have a wonderful range of fall colors for the ribbon flower arrangement. Side view of the rose.